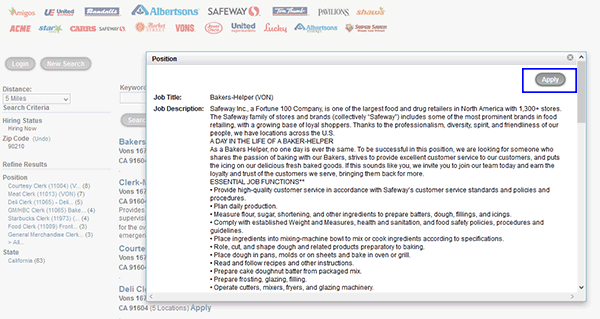 Go to the careers website to complete and submit the Safeway job application. The company is a retail grocer with approximately 1,300 locations spread throughout the United States. Retail, pharmacy, home delivery, distribution, manufacturing, transportation, and corporate positions include the types of jobs that can be applied for online. 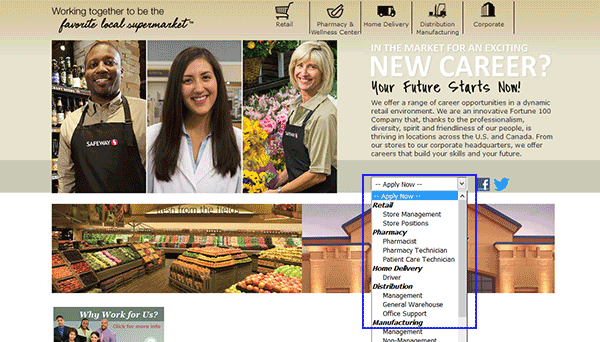 Use the guide posted below to learn how to navigate the Safeway website, find a job, and submit an application. 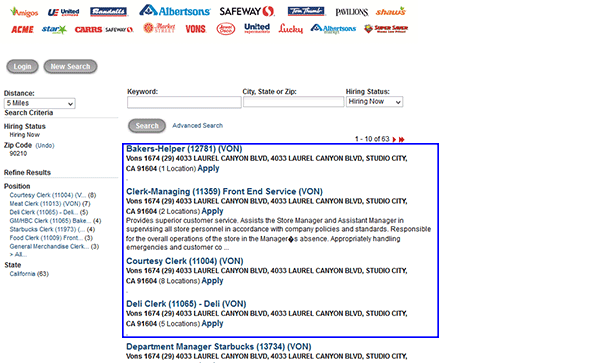 Step 1 – Begin the search by going to the jobs/careers site (http://www.careersatsafeway.com/). Step 2 – Select which type of position you want to apply for from the drop-down list (e.g. retail, pharmacy, etc.). Select your age from the drop-down list and hit the “Continue” button. Step 4 – Search by keyword or location (city/state/zip). Step 5 – View the current openings by scrolling down the page. 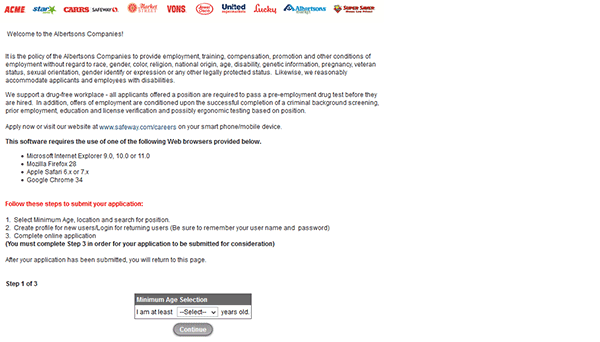 Click the position you want to apply for. 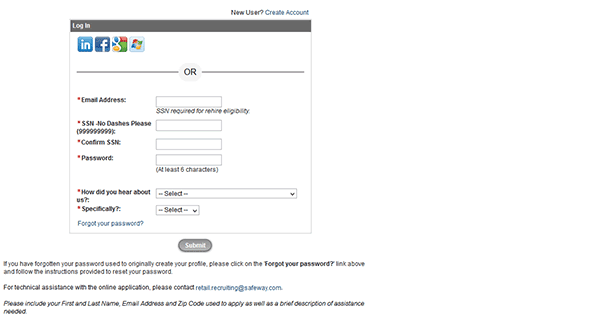 Step 6 – Press the “Apply” button to load the next step. 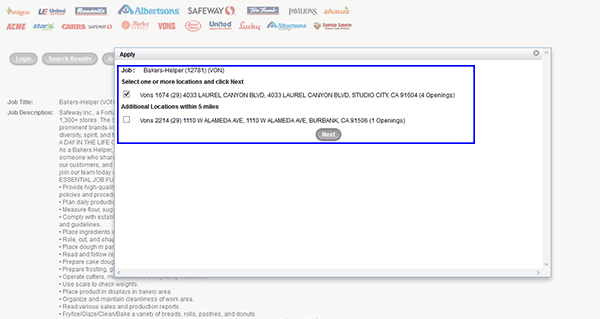 Step 7 – Select any additional locations you want to apply for (if applicable) and then press the “Next” button. Step 9 – Complete each required section of the application. After all sections have been fully completed you will be able to submit it for processing. If your application matches the current needs of the location(s) you’ve applied to you will be contacted for an interview.